Ralph J. 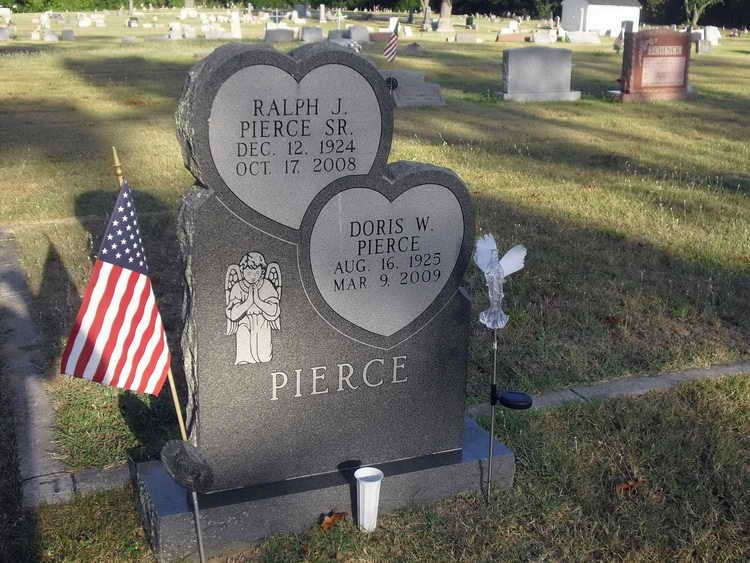 Pierce Sr., 83, of Fairfield Township, passed away Friday evening, Oct. 17, 2008, at home. He was the husband of Doris Pierce (nee Wright). Born in Salem, he was the son of the late Jediah Pierce and the late Mabel Pierce (nee Dunn). He was a lifetime area resident and had been living at his address in Fairfield Township for 58 years. Mr. Pierce was a 1939 graduate of Bridgeton High School, and he earned a masters degree in engineering from the City College of New York. He worked as a Superintendent of Construction for Tayuga, S.J. Groves and Sons and Flor Daniels, before retiring in 1991. During World War II, Mr. Pierce served in the U.S. Army with the 82nd Airborne Division as a paratrooper during the invasion of Normandy and the press into the Rhineland. He was awarded two Bronze Star Medals and a Purple Heart. Most recently, he was recognized with the Cumberland County Veterans Medal and the New Jersey Distinguished Service Medal. He was a member of the Nanticoke Lenni-Lenape Indian Tribe, former committeeman of Fairfield Township, member of Carpenters Union Local No. 8, in Philadelphia, member of the Fairfield Republican Club and trustee of St. John's United Methodist Church, of Fordville. He also was an avid farmer and enjoyed playing instruments including the drums, saxophone and piano. In addition to his wife of 58 years, he is survived by one son, Ralph Pierce Jr. and his wife, Cynthia, of Auburn, N.Y.; one daughter, Sharon Ponzetti, of Fairfield Township; three granddaughters, Cher Pierce, of Mantua, Ivana Pierce and Krysha Pierce, both of Auburn, N.Y.; one grandson, Albert Wright, of Fairfield Township; one great-granddaughter, Kayla Pierce, of Mantua; and one brother, Russell Pierce Sr., of Fairfield Township. In addition to his parents, he was preceded in death by one grandson, Ralph Pierce III; one stepdaughter, Darlene Wright, of Fairfield Township; 7 brothers, Henry Dunn, James Pierce, Morris Pierce, Charles Pierce, Francis Pierce, Herbert Pierce and Earl Pierce; and one sister, Helen Pierce. Funeral services will take place on Friday morning, Oct. 24, at 11 o'clock at St. John United Methodist Church, 680 Fordville Road, Fairfield Township, with Rev. Roy Bundy and Rev. Kevin Davis officiating. The interment will take place at Greenwood Memorial Park, in Millville. Grave marker for Ralph J. Pierce and spouse in Greenwood Memorial Park, Millville (Cumberland county), New Jersey. Ralph, a member of the Nanticoke Lenni-Lenape Indian Tribe, enlisted in the army at Philadelphia, PA on 27 November 1942. Pvt Pierce was wounded in action in Holland on 17 September 1944 and evacuated to the 348th Station Hospital. He returned to duty on 29 September and immediately transferred to Service Company for further recuperation. However, on 14 October he was sent to the 182nd General Hospital in Sudbury, England and classed as a "non-battle" injury. He retuned to Service company on 26 October 1944but was not reassigned to H Company until 9 December. On 24 December 1944, Pvt Pierce was evacuated to a field hospital. He was dropped from the 508th roster on 24 March 1945 and transferred to the hospital's detachment of patients. His military decorations include the Purple Heart and the Bronze Service Arrowhead device awarded for participation in the Normandy assault and Airborne operations.